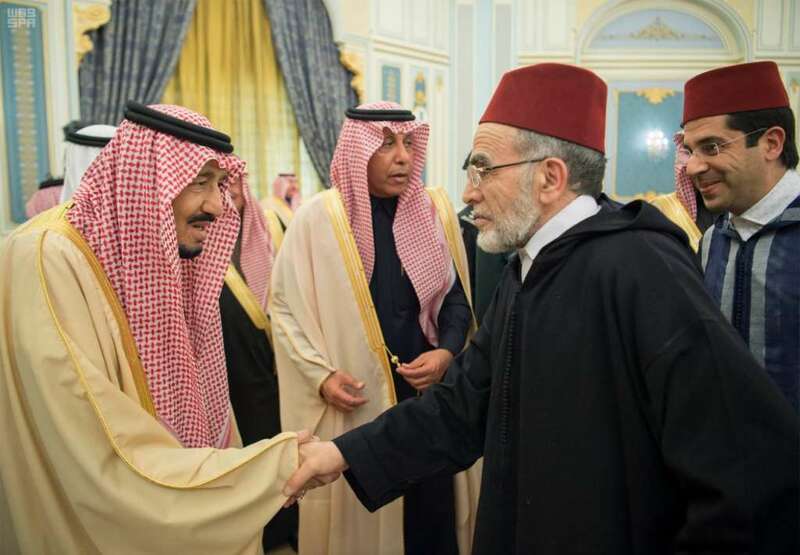 Riyadh – Custodian of the Two Holy Mosques King Salman bin Abdulaziz said that preserving Arab and Islamic identity is one of the Kingdom’s top priorities. King Salman received at Al-Yamamah palace on Sunday writers and intellectuals participating in the National Festival for Heritage and Culture “Al-Janadriah 31”. For his part, Secretary-General of the European Islamic Conference, Dr. Mohammed Bechari, delivered a speech on behalf of the festival’s guests, including scientists, scholars, writers, journalists and researchers, in which he extended thanks and appreciation to the Custodian of the Two Holy Mosques for his great efforts in serving the Islamic culture. The audience was attended by Prince Khalid bin Fahd bin Khalid; Prince Faisal bin Bandar bin Abdulaziz, Governor of Riyadh region; Prince Dr. Mansour bin Miteb bin Abdulaziz, Minister of State, Cabinet’s Member and Advisor to the Custodian of the Two Holy Mosques; Prince Miteb bin Abdullah bin Abdulaziz, Minister of National Guard and Chairman the Supreme Organizing Committee of Al-Janadriah and a number of high-ranking officials.